Clergy Meeting at The 54th Annual Convention in Tampa, Florida. On July 26th 2018. 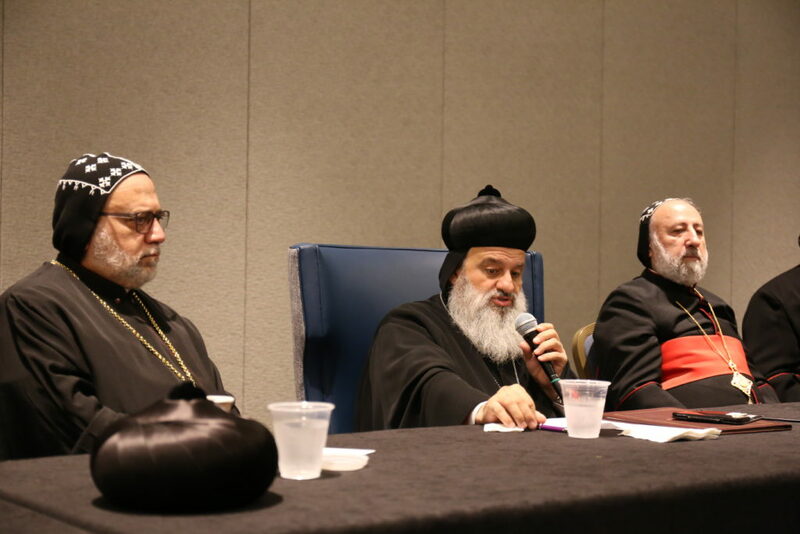 His Holiness Patriarch Mor Ignatius Aphrem II presided over the clergy meeting of the 54th Annual Archdiocesan Convention hosted by St. Athanasius Church in Tampa, Florida. 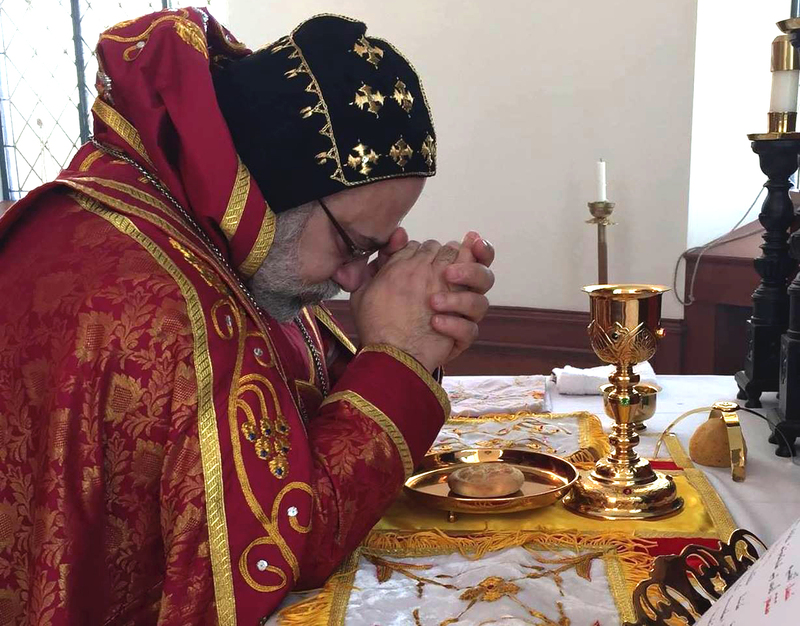 Their Eminences: Mor Dionysius John Kawak, Patriarchal Vicar for the Eastern USA, and Mor Clemis Eugene Kaplan, Patriarchal Vicar for the Western USA, Mor Dioscorus Benjamin Atas, Patriarchal Vicar in Sweden, Mor Justinos Boulos Safar, Patriarchal Vicar in Zahleh and Bekaa, Mor Maurice Amsih, Archbishop of Al-Jazeerah and Euphrates, attended the meeting. His Holiness gave a lecture about the new challenges that face our clergy in the Diaspora and in the Middle East. His Holiness then answered the questions of the clergy and gave his guidance to help them through the different challenges of their pastoral ministry. After the meeting, His Holiness presided over the Ramsho prayer (Vespers). The prayer was also attended by their Eminences, as well as the clergy from both Archdioceses and participants of the convention.